For the vocalist who demands the quality of the original artist recording, but desires the flexibility of multiple keys comes this Spring Hill Studiotrack as originally recorded by The Martins. 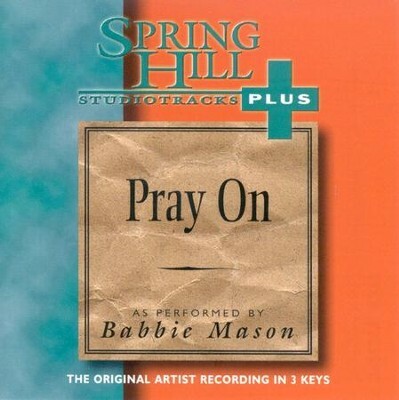 Features a demonstration, the original key track (Ab,Bb) with and without background vocals, and tracks in two additional keys (F,G/B,Db) without background vocals. Lyrics enclosed. I'm the author/artist and I want to review Pray On, Accompaniment CD.